Often overshadowed by the big cities on the east coast, the western side of Australia has stunning places that make it the perfect playground for amazing travel photography. 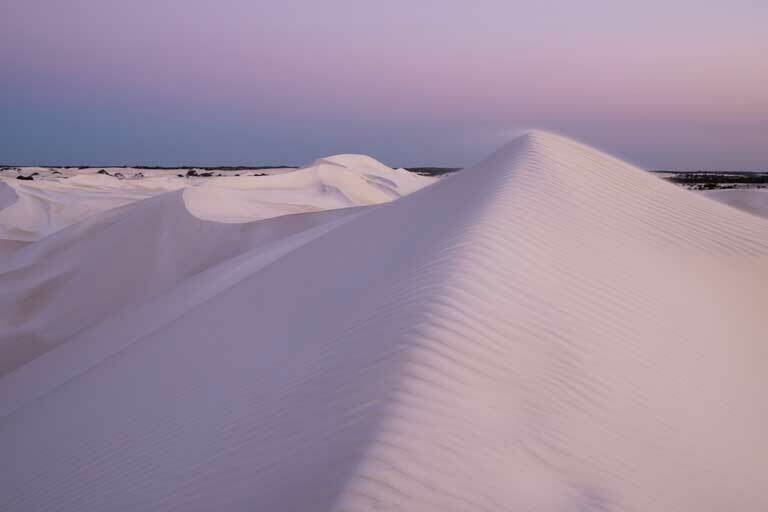 With a perfect combination of outback, white-sand beaches and cityscape, Western Australia will take you on a spectacular visual journey. 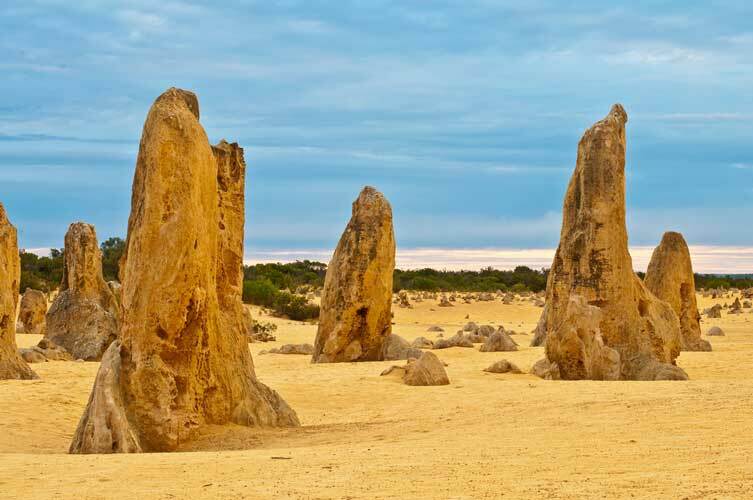 Located off the Indian Ocean Drive, these eerie limestone formations scattered across the vibrant yellow sand dunes are as high as three metres and a must-see when visiting Perth. You can even take a seat in a scenic flight and marvel at the crystal blue waters in contrast to the bright sand dunes or ride a 4WD through the dunes for an exhilarating experience. 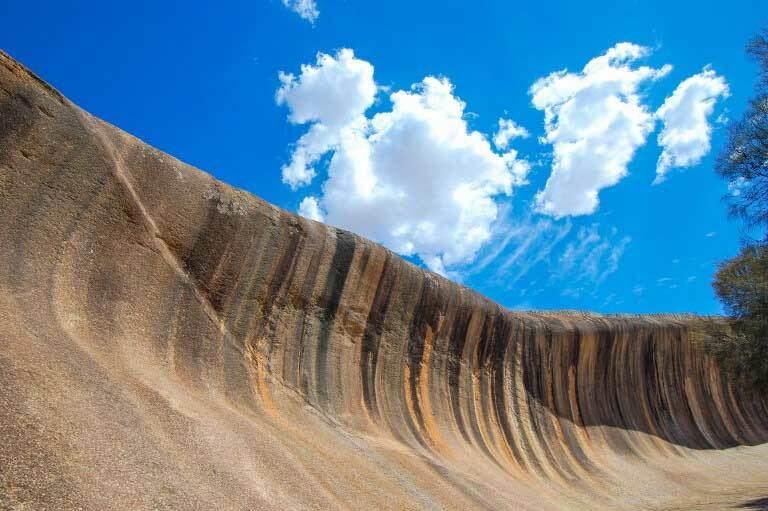 Shaped like a surf wave, this natural icon of multi-coloured granite rises 15 metres from the ground and is believed to have taken form more than 2,700 million years ago. This colossal landscape is a part of many scenic loops you can take to discover other granite formations and surrounding bushland. And if you’re not done with the breath-taking scenery you can head 1km north of Wave Rock and discover the picturesque salt lake, Lake Magic. 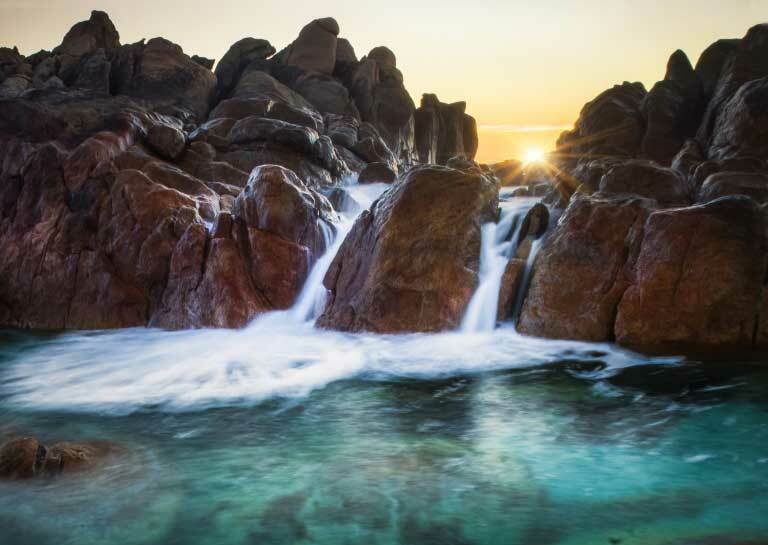 Where the ocean meets with land, the Indijup Natural Spa has formed smooth boulders that gushes crystal clear water from the Indian Ocean, turning this spot into a sanctuary of natural pools. 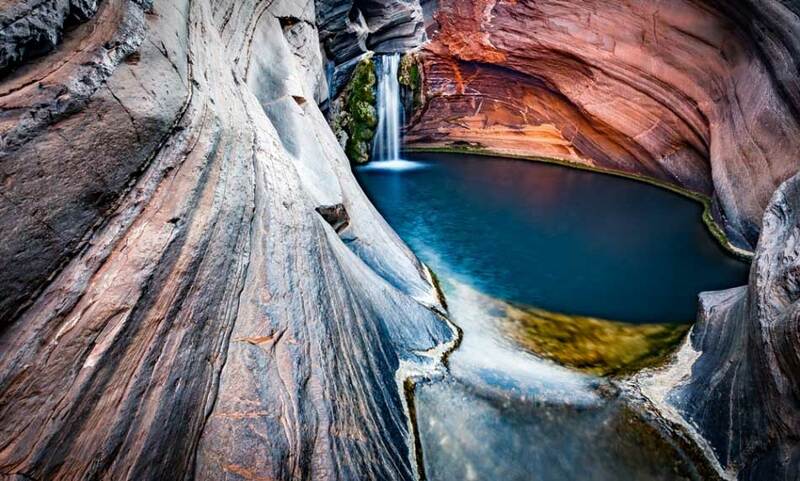 It’s the perfect pit stop for a dip after a hot summer road trip. 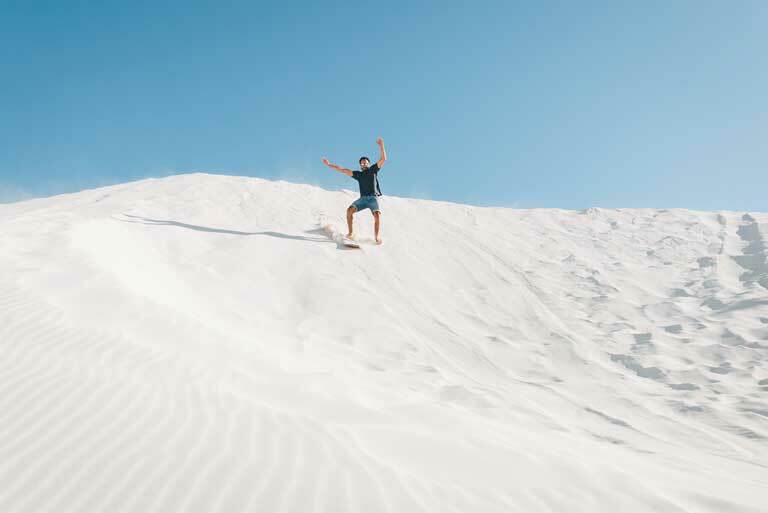 The pristine soft white sand dunes in Lancelin, Perth make for a perfect day out for sandboarding. Plus, stay for sunset and watch the magic happen as the dunes reflect the candyfloss sky - a magical experience. 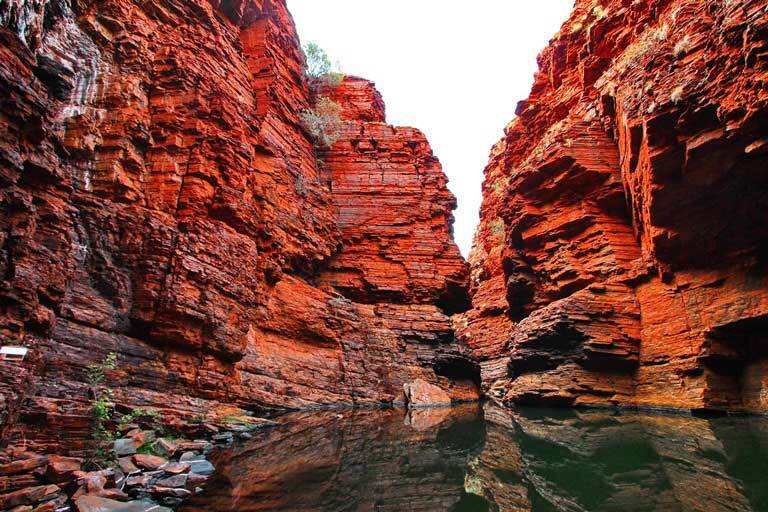 Lined with vibrant burnt orange gorges and plateaus, the spectacular Karijini National Park will treat you with towering chasms, roaring waterfalls and natural pools. Visiting this iconic unspoiled destination is guaranteed to be a unique experience whether you’re going for a ride in a 4WD or camping under the stars. Located off the coast of Western Australia, Lake Hillier pops out brightly in Middle Island showing off its radiant bubble-gum pink hue. Beautifully contrasting the Great Australian Bight, this island is a part of the protected Recherche Archipelago. The lake is assumed to take its colour from its high salt content with a combination of halobacteria. 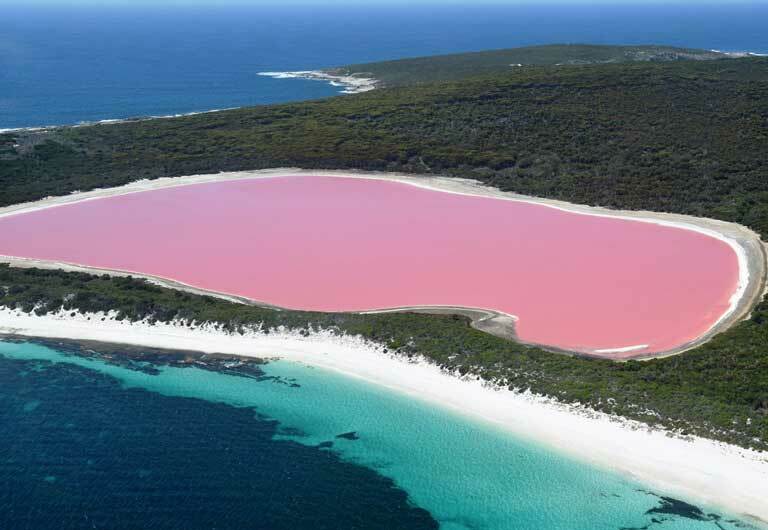 Lake Hillier can only be admired from a distance as the island is used for research so the best way to enjoy it is from the view of a helicopter or a scenic flight. Nevertheless, taking in this amazing experience is a must when visiting Western Australia! A lover of culture, languages and soul food, Paola loves getting lost in adventure whether it's in the beaches, cityscapes or the great walks. Born in Philippines and growing up in the land of the great white cloud with a full time role in the travel industry, Paola is pinning her way through the map.